I am a sucker for sweets. When they say I have a sweet tooth, I have every tooth that is sweet. When I got to Costco, I drool almost every time over those yummy churros but to make them at home… Oh boy. This could be an issue. 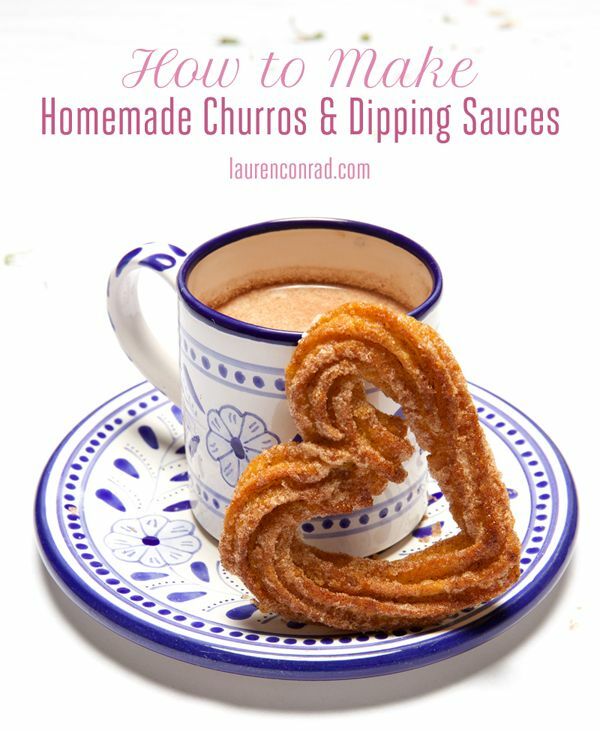 🙂 Found over at Lauren Conrad she has this delicious recipe as well as dipping sauces to go with them. These would be a perfect treat for your Cinco De Mayo party!